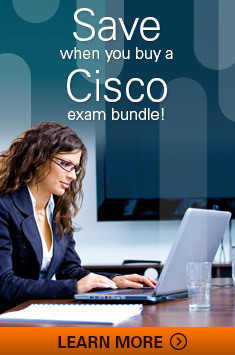 Cisco Exams with a Practice Test or Exam + Learning Lab are a convenient, packaged way for your to prepare for your Cisco Certification exam. It provides a one-stop shopping opportunity to purchase the study material when scheduling your exam. Plus, you will save money in the process.